Animal prints are pretty popular right now, and what could be more uplifting than a pair of cute animal print slippers to wear after work and early in the morning. 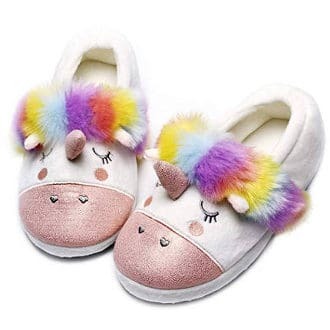 This review encompasses actual animal prints like you would find on other clothing, bedding etc., but some of these models are also available in slippers that look like little animals such as bunnies, bears and more. 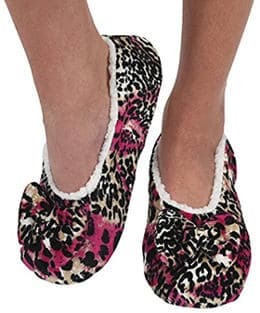 So, here is a look at some of the best animal print slippers for women. 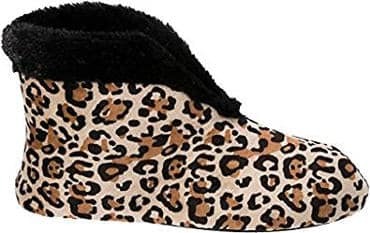 This Dearfoams Velour Bootie is an ankle length bootie that runs in sizes medium to large and 9/10, and is available in a variety of colors including a nice ocelot animal print. 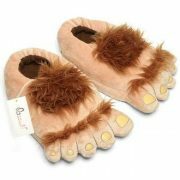 It features a synthetic upper and sole, and has a faux fur type lining and a split toe seam with a cushioned footbed. It is machine washable and should be air dried. 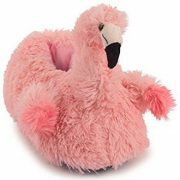 Users review that these animal print slippers feel soft on their feet and they are warm as well as cozy. The cushioning is nice and this home footwear is pretty durable. 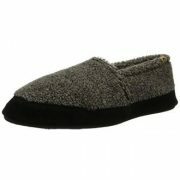 These Minnetonka Leopard Slipper Moccasins come in sizes 5 through 11 and your choice of black, cinnamon, or black suede. They feature suede (cow) uppers with a rubber sole, and are pine lined. They have both moc-toe and around the collar stitching as well as a leopard print on the toe box. Customers find them to be comfortable, warm and soft on the inside. 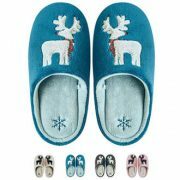 The soles are sturdy enough for the slippers to be worn out of doors, and people like the fact that they are quite durable. 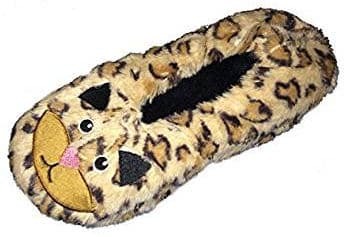 These Snoozies Ballerina Slippers come in sizes small through X-large and your choice of several colors including the animal prints of Jaguar, Leopard and Cheetah. 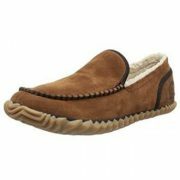 They feature a polyester upper and skid-resistant soles with pom-pom Sherpa Fleece lining and a split memory foam sole. 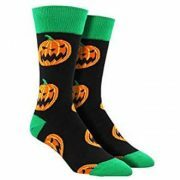 They are also machine washable and are easy to put on and get off. 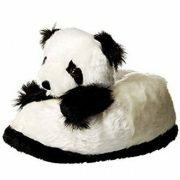 Users like these animal print Snoozies because they look stylish and hug the feet nicely. They have an anti-skid bottom and nice padding. Overall, they are soft, warm, and comfortable. These Snoozies Modern Animals Skinnies come in sizes small through X-large and your choice of wild leopard, snakeskin and double cheetah. 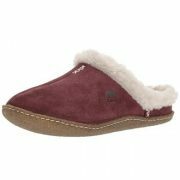 They feature a 100% polyester upper and a non-skid sole with a soft sherpa lining. They can be machined washed and dried. 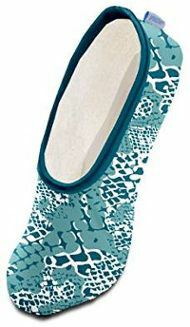 These animal print Snoozies are cute, comfortable as well as warm, and users like their non-slip sole. They fit well and are lightweight. The colors are durable and the elastic around the top is not overly tight. 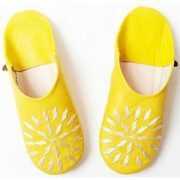 These pretty foldable ballet flats come in sizes small through X-large. They are available in several colors including a few animal prints such as zebra, snake and leopard. They feature a synthetic upper and a non-skid rubber sole, and come with a nice pouch that the slippers fit in when they are folded in half. Customers like the color choice of these flats and find that they can be worn as shoes in certain situations or as an emergency shoe in those times that they desperately want to get rid of their high heels. This footwear is good for home and travel, it feels soft and offers some good traction. Nevertheless, there is no support and the material is too thin for this shoe to be used on uneven areas. 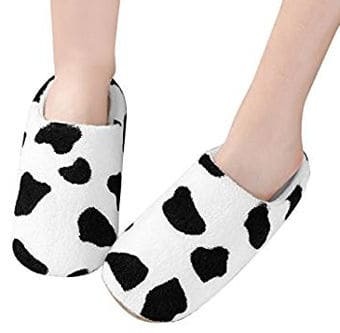 These indoor warm fleece slippers come in sizes 5/6 or 7/8 and the following animal or animal prints: milk cow, teddy bear, fox, elk, sheep, panda and more. 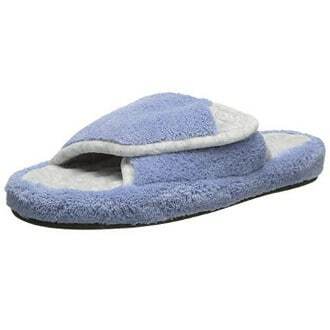 This indoor footwear can be hand washed and it features a fleece upper and a rubber sole. It is also easy to slip on and off and has anti-skid rubber soles. 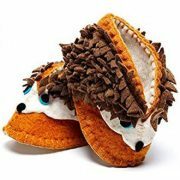 Users like these well made slippers because they cup the foot nicely and they are cute, soft, warm and comfortable. The bottom is fairly solid as well. 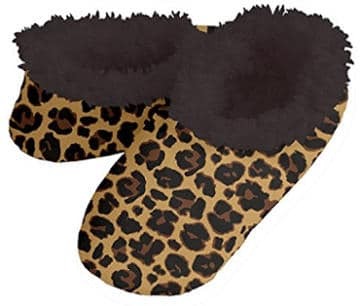 These Snoozies footcoverings have a leopard print and come in sizes small, medium, large, and X-large. 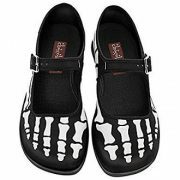 They are made from polyester and feature soft fleece lining and a non-skid sole with little rubber dots. They can also be machine washed in cold water. Customers find these Snoozies to be comfortable, warm and easy to clean. They run true to size and have some nice cushioning. 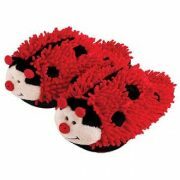 These slipper socks furry critter come in sizes small and medium, and are styled like several animals including a racoon, bear, owl, cat, bunny and more. They feature a polyester upper and a gripper bottom. 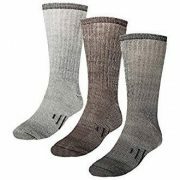 They are machine washable and have a bit of cushioning on the bottom. 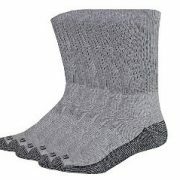 Users like that these slipper socks stay on well and are soft, comfortable and warm. 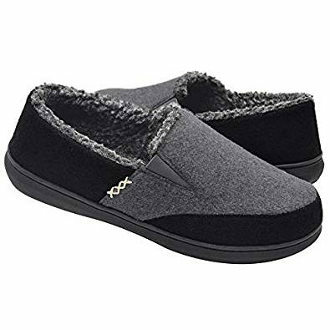 All in all, if you are looking for some cute animal print slippers for women, the above options in this review can help you choose a great slipper for you or your loved ones.